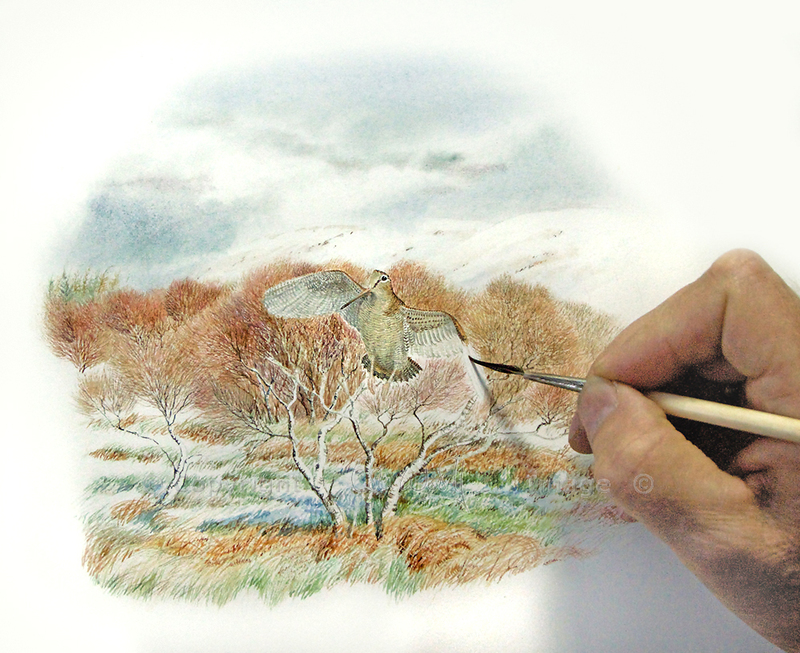 Colin has got another woodcock pin-feather painting on the easel, and it’s looking lovely! I love the background of snowy hills, and the cold, crisp feel. 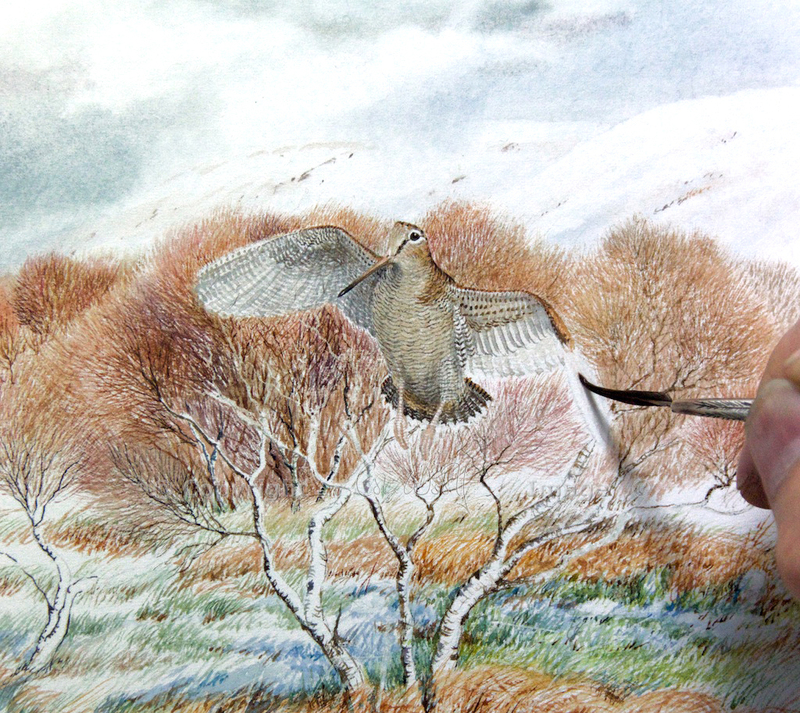 These photos show the picture in progress, with the feather that is being used (it will be inserted into the paper afterwards, as he only uses one feather per painting). The technique of pin-feather painting goes back a long way. We know that it was favoured by miniaturists in the 18th century. Colin has been practising this skill for over 20 years now, although he does prefer a more conventional brush! Pin-feathers are notoriously difficult to use. To find out more about Colin’s woodcock pin-feather paintings, take a look at his website. Thank you, Mike. Yes, he loves doing the background/habitat almost as much as the birds!